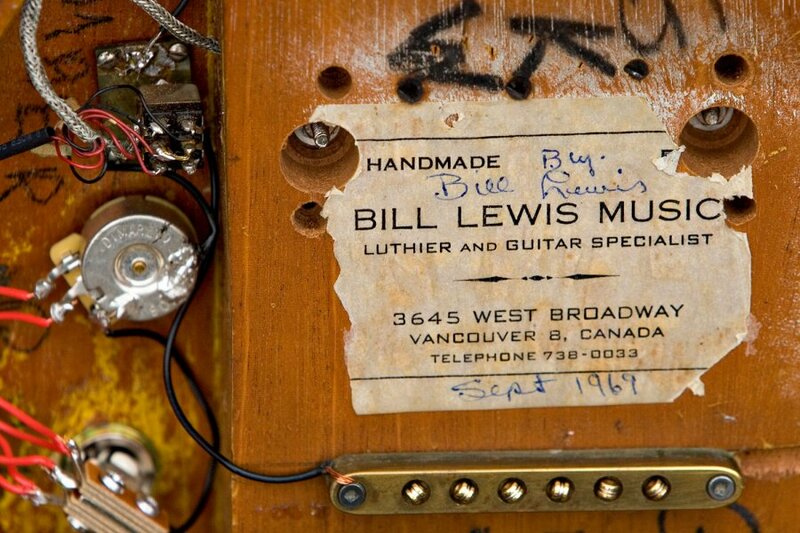 One of David Gilmour’s most iconic guitars is no doubt the custom made Bill Lewis. 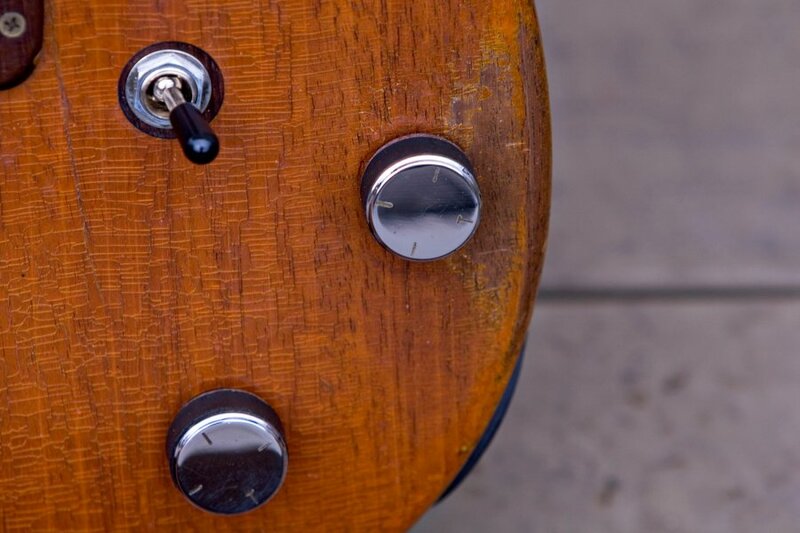 Featured on some of Pink Floyd’s biggest classics, the guitar has certainly earned it’s place in Floyd history. 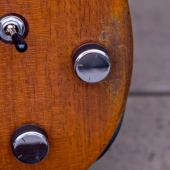 In this feature we’ll look at the origins of the Bill Lewis guitar and its recording history. On October 7. 1970, while on tour with Pink Floyd in Canada during the American leg of the Atom Heart Mother tour, David Gilmour visited guitar luthier Bill Lewis’ shop and tried one of his guitars. David must have been impressed, and later that same month, Bill’s wife met David at the airport in San Fransisco where he got the guitar. The earliest footage of David using the Bill Lewis guitar dates from Pink Floyd’s Scandianvian tour in Copenhagen, Denmark, November 12. 1970, which was only a few weeks after he got the guitar. David would use the Bill Lewis on several dates in November and December, including the filming of a live studio performance for French TV at ORTF-TV Studios in Paris on December 4.-5. Pink Floyd at the ORTF-TV Studios in Paris, France 4.5. December 1970. David’s playing the Bill Lewis custom guitar and note the use of the reverse connected wah wah for the seagull effect. 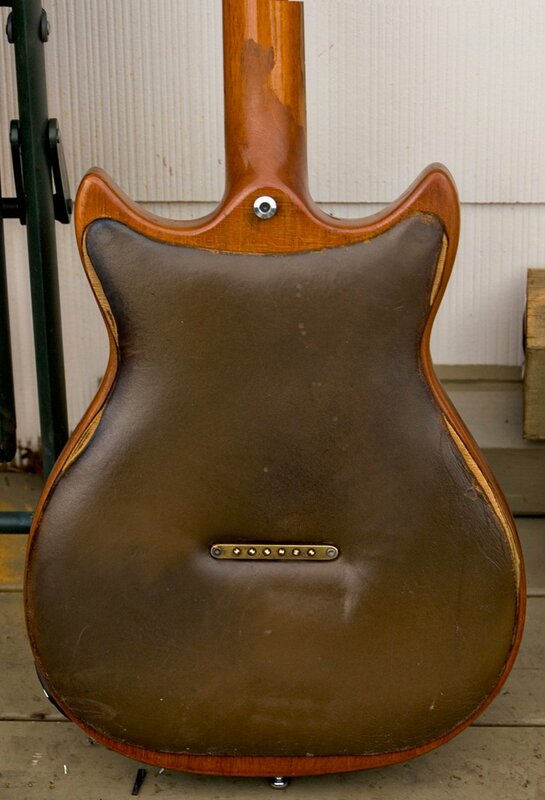 The guitar made its studio debut during spring/summer 1971. Although not known whether it was used for the full track, David employed the Bill Lewis for the recording of the main guitar solo on Echoes. 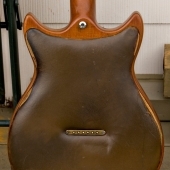 The Bill Lewis was perhaps most famously used for the latter part of the Money solo. The 24 frets and two full octaves allowed David to reach higher notes than he would have with a conventional Stratocaster. The guitar was also featured on the studio footage on the edited version of Adrian Maben’s film Live at Pompeii. Although the Abbey Road footage was fake – Dark Side of the Moon was already finished during the filming – it gives a rare glimpse of the Bill Lewis and its tone. David would also use the guitar for the 2003 BBC Classic Albums Dark Side of the Moon documentary to replicate some of the iconic sounds. 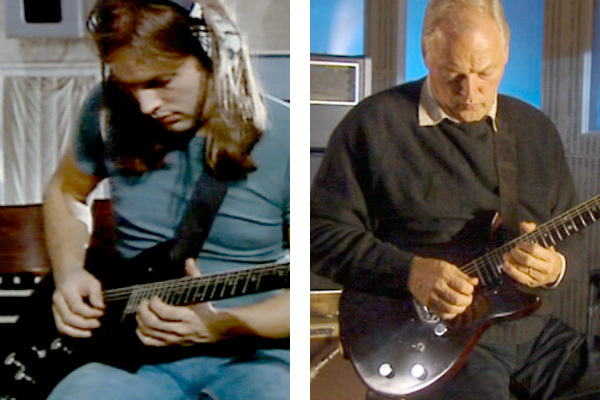 – (left) David pictured with the Bill Lewis guitar during the Dark Side of the Moon recording sessions as seen on the Live at Pompeii DVD. (right) David performing Us & Them for the 2003 Dark Side of the Moon BBC documentary. The Bill Lewis is still in David’s collection. Sometime in the early 80s the ebony fingerboard was replaced by one slightly more concave for better playing and comfort. The guitar was displayed at the 2004 Pink Floyd Interstellar Exhibition in Paris, France and at the 2017 Pink Floyd Their Mortal Remains exhibition in London, UK. This following story is written exclusively for Gilmourish.Com by former Bill Lewis’ colleague, Mark Fornataro. “The Lewis custom guitar, designed by Bill Lewis of Vancouver, played a significant role in the recording of Dark Side of the Moon. 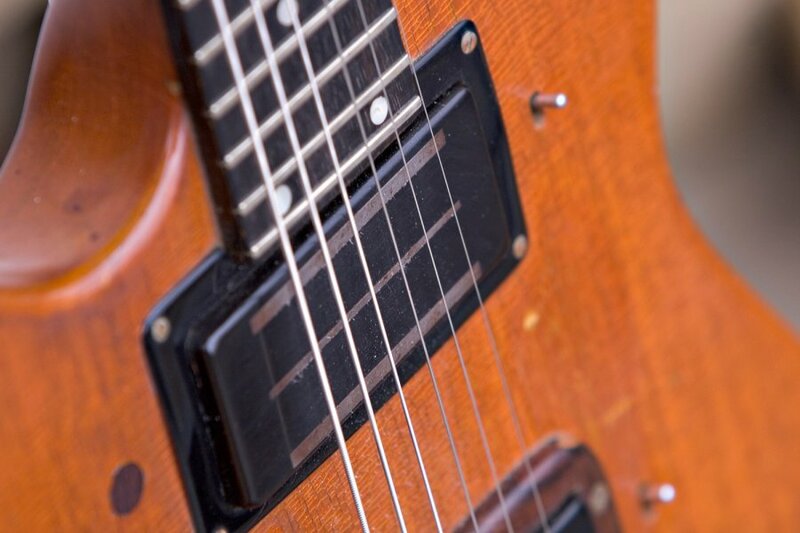 David Gilmour’s Lewis, built for him in 1970, has the very rare 24 accessible frets. 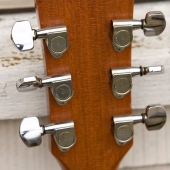 The fret spacing was worked out with the use of a computer, which back in the late 60s, when the guitar had its debut – was also rare. This allowed for better accuracy than usual, in terms of pitch, and of course the full 2 octaves on the high E string allowed Gilmour to reach notes unattainable on his Strat. 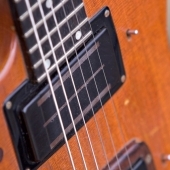 The extra wide fingerboard which flattened out by the 24th fret is also a great advantage for bending notes. Pictures used with permission from Josh Szczepanowski. Jimmy Page, who has a Lewis guitar, wrote me 1992, referring to the guitar as “quite revolutionary”. 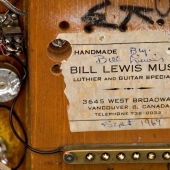 Not the least of these revolutionary features were Lewis’ own humbucking pick-ups which were cast in resin using a vacuum system, the first time pick-ups were designed in such a way; they are capable of a very clean sound with great sustain (The pickups were invented and patented by Bill’s brother Jack Lewis. David’s guitar also had switches on each pickup for humbucker and single coil options. – Bjorn). 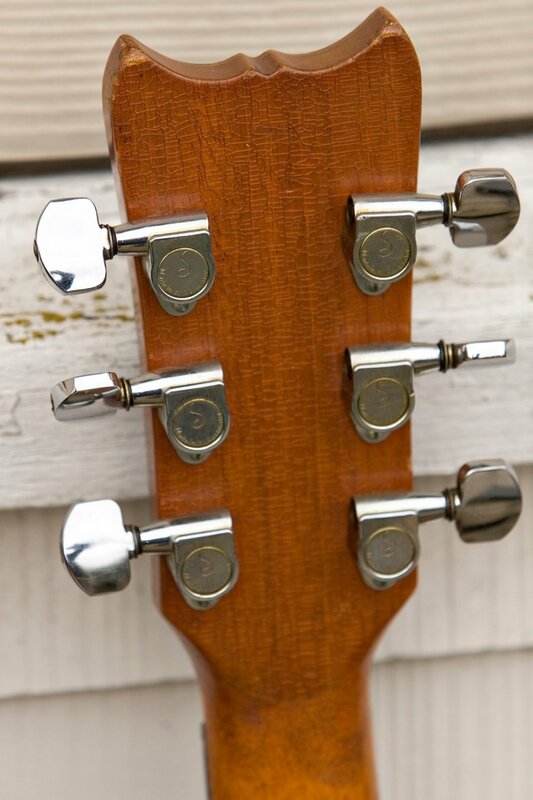 Another first, a trade secret at the time, was the neck design through the incorporation of two parallel rectangular steel bars running the length of the neck and epoxied beneath the fretboard for stability. This allowed for a very fast neck; much thinner than guitars of its time. “The Lewis guitar first gained notoriety in Vancouver on August 9 1969 when Eric Clapton used one for an entire Blind Faith concert. The Vancouver Sun published a picture of him using it on August 11. After Bill Lewis started getting more orders for it luthier Mark Wilson and I were the only two working full-time handbuilding them. Wilson had suggested approaching Clapton. I started working with Lewis in October 1969 and got on the promotion bandwagon, suggesting approaching Gilmour and was thrilled to see him trying one out in the store in 1970. I remember he had his little finger hooked around the volume control, rocking it back and forth, thus producing an amazingly even vibrato. Mark Wilson died very young in the early 70s and the guitar which had always been a special labour of love, never mass-produced, went out of production. A big thanks to Mark Fornataro, Josh Szczepanowski and Megan Lewis for all your help and contribution.